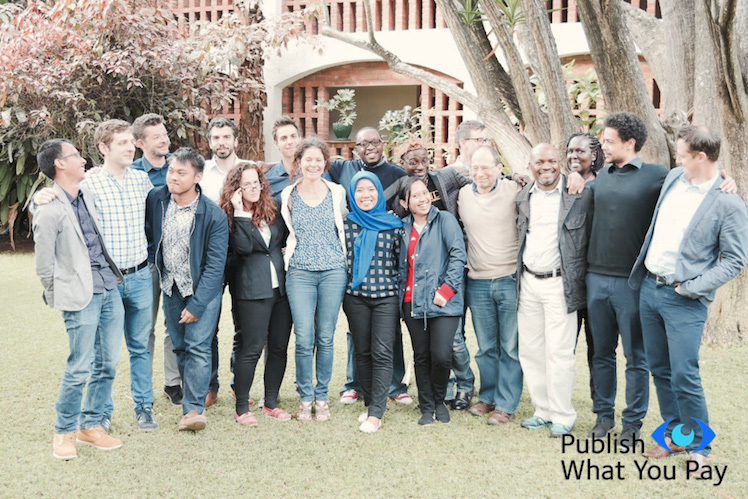 Last month, I was privileged to help lead a workshop in Harare, Zimbabwe, for activists in the Publish What You Pay coalition, focusing on how data can get citizens a better deal from their country’s oil and mining . Through the “Open Data Extractors” project, campaigners from across the global coalition learn how new laws in the EU and the US are unlocking payment data from companies that dig for oil and minerals around the world. I joined colleagues from Indonesia, Mozambique, Kenya and Zambia—where natural resource wealth can remake the economic landscape, for better and worse—as well as from the US and the UK, where the push for new disclosure rules has been the most intensive. In the effort to convert business filings into citizen awareness, journalists play a key “intermediary” role. Several presentations in Harare explored the links between good communications and effective transparency. Several journalists were also in attendance, including veteran investigative journalist Khadija Sharife of ANCIR and Donald Takudzwa, a reporter helping to foster a community of independent journalists in Zimbabwe. You can read excerpts from Donald’s 263Chat article about the workshop below. And see another report here from Filipino NGO Bantay Kita. An international coalition of civic societies advocating for mandatory disclosure for transparency in the mining sector has urged local activists to make strategic interventions through data driven advocacy. Publish What You Pay director Elisa Peters made these remarks in an exclusive interview with 263chat, on the sidelines of a workshop for data extractors working on the extractive industry. Open Data “Extractors” review each other’s projects. PWYP Zimbabwe, housed under the Zimbabwe Environmental Law Association (ZELA) is facilitating the data extractors’ workshop.Peters said the mandate of PWYP, a coalition of 800 civic society, community based organisations, was a push for mandatory disclosure of payments made to governments by mining companies.She said through extraction of data, civic society can advocate for transparency and greater accountability of revenue from extractives. 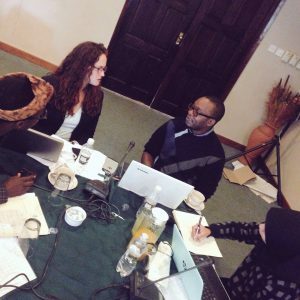 Jed Miller a special development consultant to NGOs and foundations on digital strategies and human rights, said “… African NGOs have an opportunity due to the increasing availability of data from international corporations. “Through such disclosure NGOs can see for themselves […] if mining has translated into tangible opportunities for economic development. “Previously NGOs and community groups were relying on the discretionary disclosure of companies. … Too reliant on consultants to help sift through information, however with open data and tools … this data has become increasingly available and easy to use,” he said.